Gary, Indiana (pop: 116,646), the newest major city in America according to the Funk and Wagnall's New Encyclopedia (1996 edition), was built on a sandy lakefront wilderness in three years (beginning in 1901; incorporated in 1909) by the brand-new United States Steel Company. Though the country's newest major city, Gary still boasts a large amount of (largely unappreciated) historic architecture. Unfortunately, after decades of urban decay, Gary looks anything but new. Steel production at the mighty U.S. Steel Works on the lakefront is clearly visible from the Toll Road. Gary is still one of the largest steel producers in the world, but automation drastically cut its employed base, resulting in a severe drop in Gary's median income. Carefully planned by Elbert H. Gary, founder of U.S. Steel, all major streets of Gary lead to the mill entrance. The Indiana Toll Road exit provides excellent access to the downtown area, and a transportation center and South Shore stop gives easy access by train. However, a 10,000 seat municipal convention and sports complex with a 30,000 square foot main arena, built in the early '80s near the exit, failed to revive the downtown area. The flourishing Indiana University Northwest campus is in Gary, as is beautiful Marquette Park with its lakeshore beaches and inland lagoons, where Father Marquette first landed in what was to become Indiana. Gary also boasts the entrance to the most beautiful of the beaches in the Indiana Dunes National Lakeshore, with its Paul H. Douglas Visitors' Center and vast parking area. 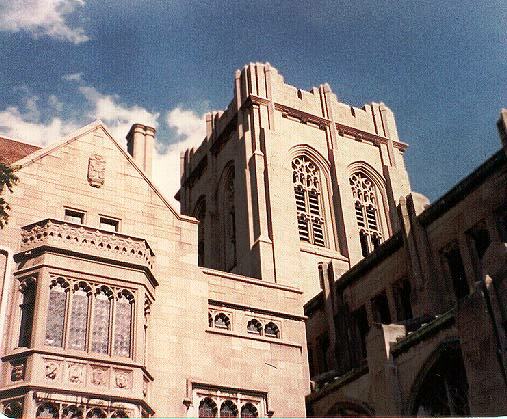 Gary boasts architecture by such notables as George Maher and Son, William Holabird, and Frank Lloyd Wright. Booming casinos are bringing a new influx of cash to the city. 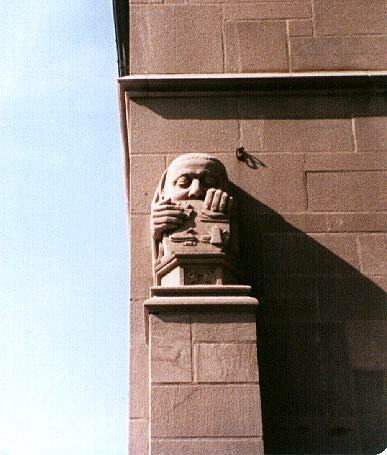 If Gary cares enough, it can still save some of its historic architecture. The question is, does it care at all? visible behind the church in this picture. Detail view of the church shows its Gothic splendor. The church was built at a cost of more than $1 million by the Rev. William G. Seaman in 1926.
building are unique and had special relevance to the congregation. 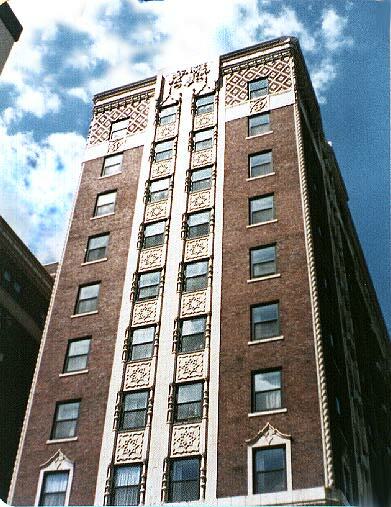 Another view of the Genesis Tower retirement Building (formerly Hotel Gary) adjacent to the church. 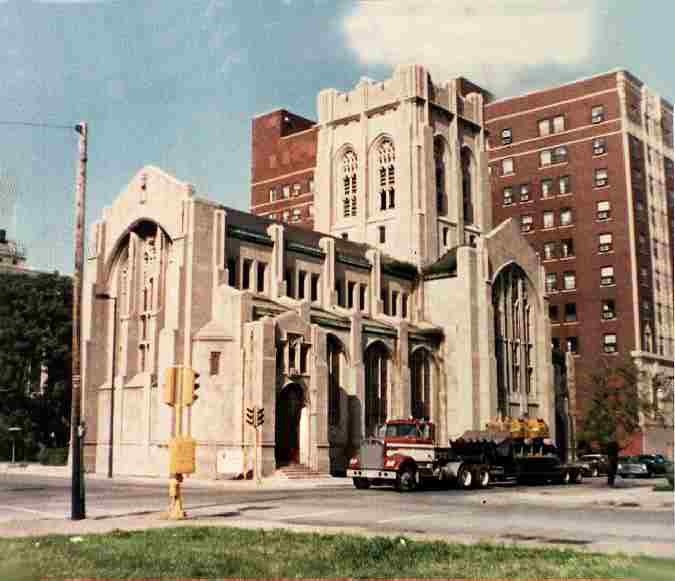 First United Presbyterian Church at the corner of 6th Ave and Monroe Street in Gary. 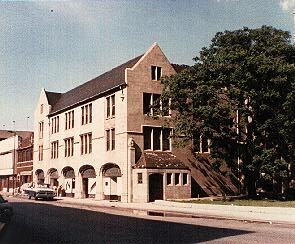 The building was originally erected in the 10's with dedication in 1913. A fire destroyed the sanctuary in 1947 so that part of the structure is relatively new. The rest of the building is original. The Presbytery of Wasbash Valley participated in a mini renovation of various parts of the building in April 2000 and 2001. An article about the church's efforts appeared in the Post-Tribune. Impressive are both the rehabilitation efforts and the church's clothing and food drives. People came all away from Lowell to participate in the rehabilitation.